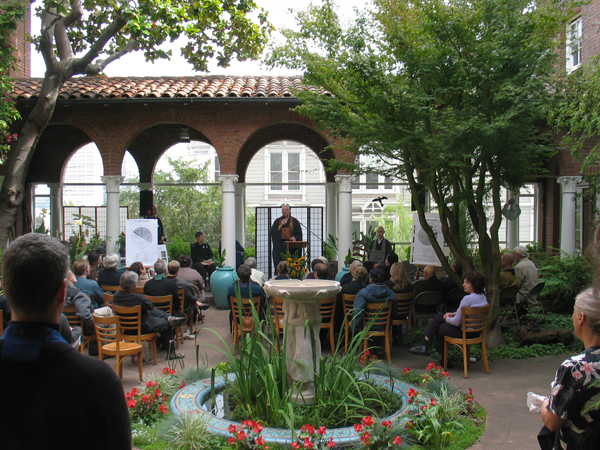 Friday is the final day of the annual Membership Drive for SFZC. If you have joined in recent weeks, please accept our bows of appreciation and welcome. If you haven’t yet joined and are considering it, now is a wonderful time to make a membership commitment, and help us to earn a matching donation that doubles the impact of your pledge. Membership matters because it provides a solid, regular financial foundation on which we can rely. It enables us to provide ongoing support not only for the day-to-day necessities of the more than 100 SFZC residential practitioners, but also support to the wider community whose practice intention is continually nourished and supported by our three temples. Membership dollars pay for things like carrots, candles and cushions. They keep the lights on, the doors open and the kitchen cooking up warm, nourishing meals. We could not do any of these things without the support of our members. Please visit our website at join.sfzc.org or call (415) 354-0355 today to make a donation. Everyone has our deep gratitude for your practice of participation and generosity.